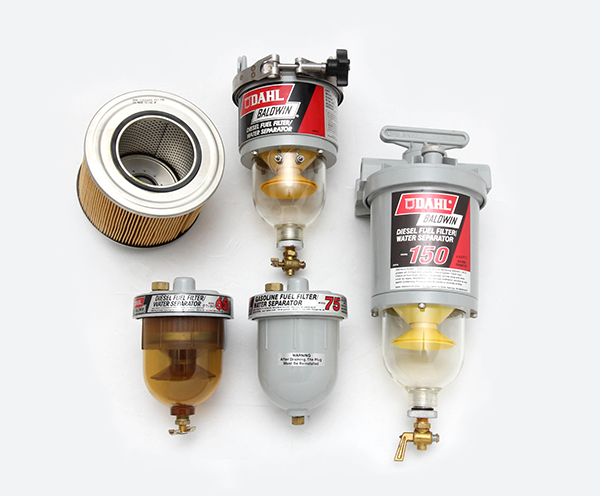 DAHL's functional dual-chamber 3-stage diesel fuel filter/water separators provide efficient suction side water separation and contaminant filtration. The key is the unique DAHL patented depressurizer cone, which spreads the flow of the fuel. With more area to flow over, greater separation of water and dirt from the fuel is achieved.